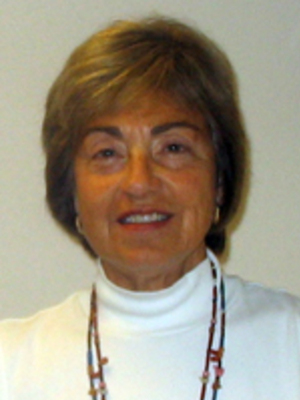 Susan M. Hartmann; B.A., Washington University; M.A. ; Ph.D., University of Missouri. Susan M. Hartmann majored in history at Washington University and received her M.A. and Ph.D. degrees from the University of Missouri. She taught first at the University of Missouri, St. Louis, and has been at Ohio State University since 1986. Professor Hartmann specializes in 20th century American history and women's history. She has written Truman and the 80th Congress (University of Missouri Press, 1971), The Home Front and Beyond: American Women in the 1940s (Twayne Publishers, 1982), From Margin to Mainstream: American Women and Politics since 1960 (Alfred A. Knopf, 1989), and The Other Feminists: Activists in the Liberal Establishment (Yale University Press, 1998). She is a co-author of the textbook, The American Promise: A History of the United States (Bedford Books, 4th ed., 2008) and has published articles on such topics as feminism and religion, women in the military, public policies in the Truman, Johnson and Carter administrations and gender and politics. Her current research deals with gender and the reshaping of U.S. politics and policy after World War II. Professor Hartmann is a fellow of the Society of American Historians and has received fellowships from the Rockefeller Foundation, the National Endowment for the Humanities and the American Council of Learned Societies. She has won the College of Humanities Exemplary Faculty Award and the University Distinguished Service Award. She has served on the Board of Directors of the Harry S. Truman Library Institute and was recently a fellow at the Woodrow Wilson International Center for Scholars in Washington, D.C.